Grand Prize of $2500 to the winner of the competition and 3 bonus prizes of $500 for the 3 best catalysts (In our opinion). This is a small and micro caps competition. The stocks you choose to input must have a market capitalization of less than $500 million at the time of entry for you to be eligible to win. In addition, in order to be eligible to win, you must input a catalyst for the stocks you trade in this competition at the time you enter your initial ticker or at any time you change your ticker for a new one. The text input of the catalyst must contain at least a 50 words description. You must have a catalyst for each stock. Here is an example of my very lengthy APP catalyst. Of course it does not need to be that long. You can link the catalyst feature to a blog post you have written already for your convenience. The minimum number of players is set at 500. If the minimum is not reached the game will be cancelled. On day one you can pick only 1 stock. If a player picks 2 stocks, the latest pick will be the one we will be using for this participant's score. You can change your ticker as many times as you want during the game using the "Change my Ticker" button. Only stocks traded in the United States and for which we have proper quotations can be enter. This includes only Nasdaq, NYSE and Amex stocks. Pink sheet and OTCBB stocks are not eligible. No restriction on industry and sector. We will use PayPal to send the payment. We will need the information required by tax authority to send the proper 1099-Misc before sending payment. The content on Takethisbet.com belongs in its entirety to Bigger Capital, LLC. 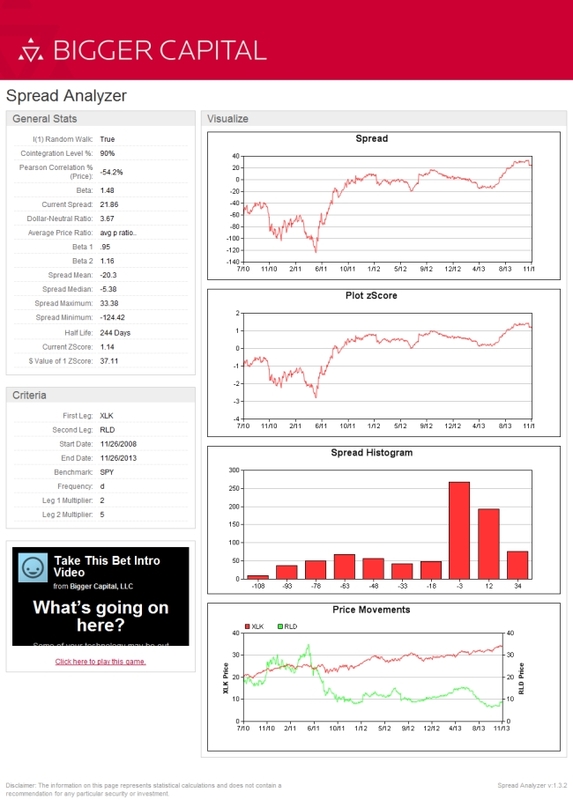 Interested in accessing TakeThisBet data? Just go to takethisbet.com and lookup your tickers to access catalysts data. If you are a financial institution interested in our API please Contact us. Take This Bet is a fun and easy stock picking game that you play with your friends on twitter.